Our environment and our bodies are increasingly being bombarded by electromagnetic frequencies (EMFs), dirty electricity, electromagnetic radiation (EMRs), 4G, 5G and electromagnetic pollution: radio frequency radiation (RFR), poor power quality (aka dirty electricity), low frequency electric and magnetic fields, and ground current. Dirty electricity flows along wires and can enter your home from neighbors through your electric panel. EMFs are an invisible source of exogenous electrical currents, and environmental and geopathic stress that enter our bodies and the bodies of animals, our pets, and plants altering normal function. High frequency voltage transients in electrical wiring have been linked to many modern health conditions, diseases and life-threatening health problems. Many people experience various symptoms and just assume that their symptoms are caused by a specific health condition or disease. They fail to look for environmental causes. Electromagnetic pollution, EMF contamination and cell phone radiation affect children more than adults. Toddlers, infants and unborn babies are especially vulnerable and should never hold a cell phone to their heads. With that in mind, pregnant women should limit their exposure to wireless radiation exposure, and it’s even smarter to limit exposure your child’s exposure to wireless devices too, including cell phones and tablets. (Not to mention the potential adverse effects of too much screen time on their sleep quality, attention spans, mood, focus and cognitive development.) We can only imagine the accumulative detriments of chronic cell phone exposure over time. Dirty electricity, EMFs and electromagnetic pollution are major problems that affect everyone’s health. The damaging effects are cumulative. cellular dehydration; EMFs change the frequency of our body, and prevent our body from being able to hydrate at the cellular level. Do you have mercury fillings in your mouth? 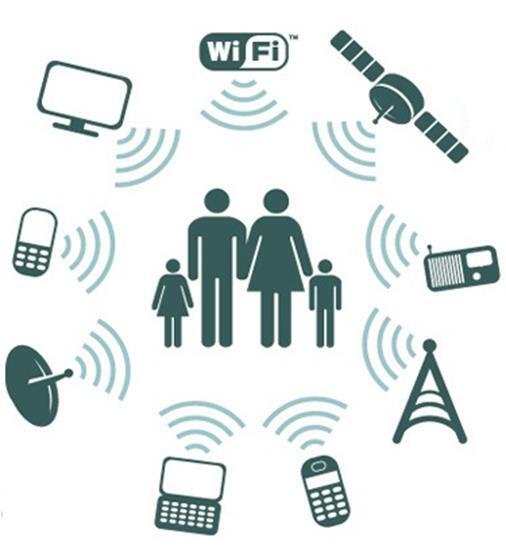 Exposure to WiFi and living in close vicinity to 5G towers dramatically increases the release of mercury from your amalgams, and this is directly absorbed into your tissues (brain and heart). promote malignant tumor growth specifically concentrated in the central nervous system, the blood and skeletal systems, and in glandular tissue (increased risk of brain, blood and breast cancer). Brain tumors are often found on the same side of the head on individuals hold their phone. 5G technology and blue light exposure at night is a major risk factor for insulin resistance, high insulin, increased glucose and altered hormones. Too much blue light after sundown from artificial indoor lights, smartphones, tablets, TVs and computers, and not enough full spectrum sunlight during the day alters glucose metabolism and hormonal balance. 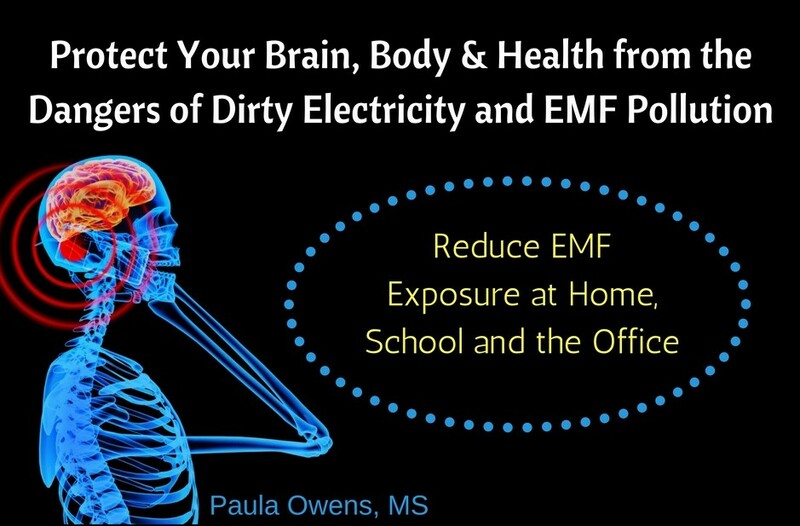 • If you have any chronic health condition, you will not recover as well until you limit your EMF exposure! • Use cellphones as little as possible and only in speaker mode. Never hold it next to your ear. • Do not wear any devices on your body, including Apple watches, smart phones or any device that emits EMFs. Never stash or carry your cell phone in your pocket, underneath your bra strap, on your hip or anywhere on your body. If you must carry it in your pocket, put it on airplane mode. • Never set your laptop computer or wireless devices on your lap. • If you live in close vicinity to or underneath electrical wires, power lines or cell phone towers, you may want to consider moving. • Switch out compact fluorescent light (CFL) bulbs for old-fashion light bulbs. • Unplug all Wi-Fi routers in your home, office and cell phone when not in use, and especially at night a few hours before bedtime. • Consider replacing Wi-Fi routers with Ethernet cables for your computer. • Do not charge your cell phone in your bedroom while sleeping. Always charge your cell phone in a room other than your bedroom, preferably on airplane mode or better yet, turn it off at night. • Avoid water beds with electrical heating systems, electric blankets and electric heating pads. • Remove all electronics and wireless devices from your sleeping area. If you must use an electric alarm clock, keep it at least 5 feet away from your body when sleeping. Better yet, opt for a battery-operated alarm clock versus an electrical one. • Move power strips at least 3 feet away from your feet. • Switch to flat screen televisions and computer monitors as these give off far less EMFs than the older styles. • Replace cordless phones with an old-fashioned corded phone. • Turn off (or unplug) lights, electrical devices and power bars when not in use. • Replace all dimmer switches with simple on/off switches. • Consider shielding devices to reduce EMF exposure from your cell phones, cordless phones and landline speaker phones. • Repair faulty electrical wiring. • Ask your electric utility provider to remove wireless smart meters and replace them with a wired smart meter. Make sure to opt out of smart meters and go back to the analog meters. • If 5G towers are being installed close to your home, consider moving. • Practice grounding. Walk barefoot on the earth, the sand, beach, grass or dirt to connect with the earth’s natural electrical charge. This common practice known as earthing or grounding allows the healing negative ions from the ground to flow into our body, which is shown to reduce stress hormones and inflammation. • Soak and relax in an Epsom salt bath one to two times weekly. • Use 100% beeswax candles and Himalayan salt lamps in your home or office to absorb EMFs from the air. Himalayan salt lamps serve as natural room ionizers, emitting negative ions into the surrounding environment that effectively bind with all the excess positive ions, reducing EMFs, killing bacteria and purifying the air. Plus, they create a calm and relaxing ambiance. • EMF testing meters are available for rent that can measure EMFs in your home. Visit AntennaSearch.com to see how many towers are within a 4 mile radius of your address. Awareness is key. Educate yourself and your kids about the health risks of chronic cell phone use, EMFs and dirty electricity. Remove, protect and distance yourself as much as possible from EMF pollutants. “EMF pollution may be the most significant form of pollution human activity has produced in this century and all the more dangerous because it is invisible and insensible.” ‒Andrew Weil, M.D. Video: Is 5G a Technological Revolution or a Pandora’s Box?